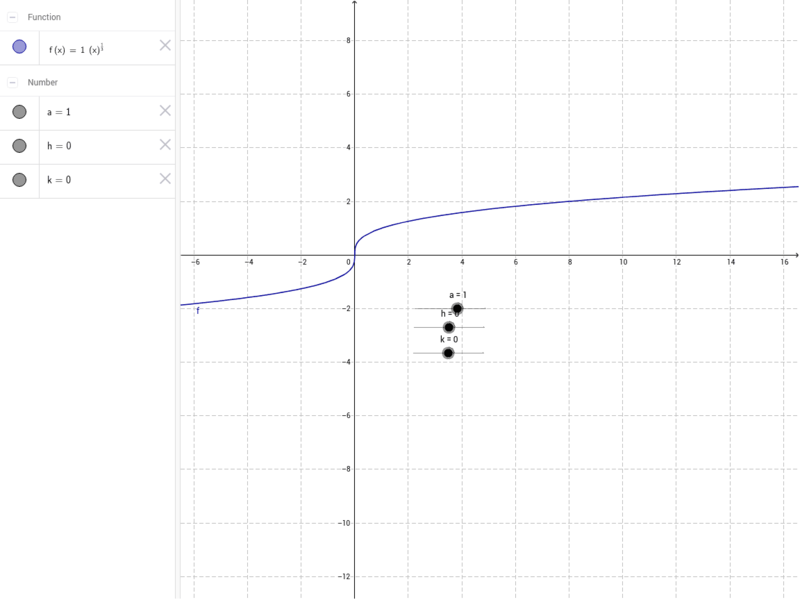 Click on the “dots” on the slider bars and drag them to see how the graph of the function is transformed. Think about how each value transforms the function: What happens when the value is positive? Negative? 0? How does the equation change as you drag the sliders? How does the location of the value in the equation determine how the function is transformed?